Small things matter. We usually receive feedback and stories from our customers who use our big and solid libraries like dhtmlxGantt. However, this time we have a story devoted to dhtmlxTreeGrid, one of UI controls included in dhtmlxSuite. 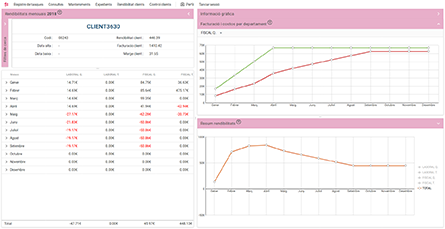 CESC-IT (CESC-IT Enginyeria del software), IT company from Catalonia, shared their experience of creating a successful solution for a consulting company with the help of dhtmlxTreeGrid and other widgets. 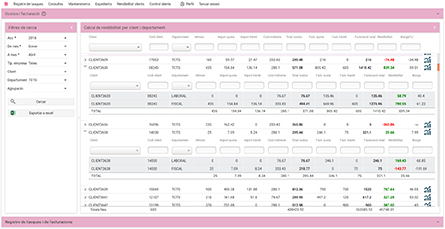 TASKES is a software solution for consultancy, management and business companies with a large amount of clients, where customer billing is based on a contracted fee for services and which also occasionally demand out-of-contract services. A specific case of success is found in the company of consultancy, tax, laborouring and legal advice GREMICAT located in the centre of Barcelona. The problem to solve is to identify in real time the profitability of its customers based on costs and billing. In order to achieve this challenge, we have developed a solution based on Java Server technology + html5 + DHTMLX with its components of LAYOUTS, DATAGRIDPRO and CHART. 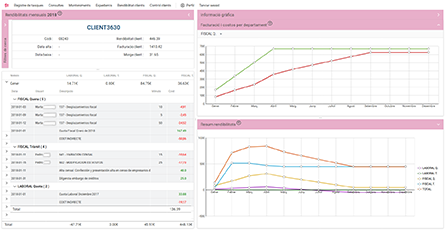 We wanted to get filtered server data, but once on screen the user had the agility to manage the data presented. The components of Layout + Datagridpro have allowed us to work with grids by grouping and totalizing according to applied filters. In this way, we give the user a great deal of power so that they can have immediate results, without overloading the server with new requests in the database. In conjunction with dhtmlxGridpro we have used dhtmlxCHART for representation using graphics. 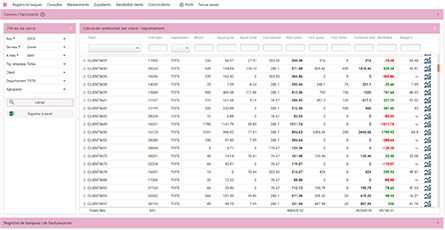 This component has controls to make it appear or delete lines of information according to interests in real time. DHTMLX Team is grateful to CESC-IT for sharing their bright customer spotlight with us! If you’re eager to submit your own story of success and get a special bonus from DHTMLX, don’t hesitate to fill in a form here.